It’s the last part of summer, and soon the kids will be back to school (and out of your hair) and missing the fun they had outside in your garden. The weather will also start to feel a little chilly, and the long summer evenings will come to an end (apologies, this is not meant to be a sad read). Therefore, it’s time to make the most of the warm weather, free time, and long evenings, and invite your nearest and dearest over for some outdoor fun. However big or small your backyard space is; embrace it and enjoy it (while the weather stays dry) with a party or get-together. The following are some ideas and tips if you feel inspired to throw a shindig in your garden and want to show everyone a great time. Starting with the savoury stuff; if you haven’t pulled the BBQ out of the shed by now, it’s time to wash it off and get the coals burning. 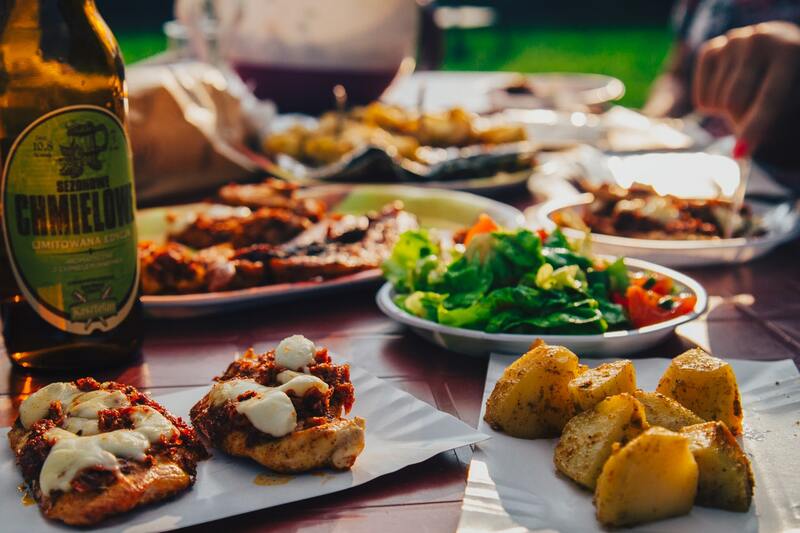 The barbecue is the perfect addition to any garden celebration, so rope in a loved one to help you (or ask them kindly to do it all) and start grilling some delicious food. For those without a BBQ (or accompanying shed); you could always invest in a few disposable ones, which there are plenty of in every supermarket. Disposable barbecues mean they’ll be minimal cleaning up as you can just throw them away once they’re cold (easy peasy). Ask your guests to bring something to throw on the hot grate, so at least you’ll know that everyone has something there they want to eat. If you fancy getting creative with your edible delights; take a look at some barbecue recipes from BBC Good Food here: bbcgoodfood.com/recipes/collection/barbecue before you write your shopping list and head to the supermarket. Side salads can also be the star of the show; get the kids involved in helping to prep the cold stuff, and it’s another chance for guests to bring a dish, especially if they’re known for their buttery, herby new potatoes (yum). You can always take the picnic approach, and create some finger sandwiches, mini quiches, and filling rice or pasta salads; these will be quick and easy, and who doesn’t love picnic food. Again, it’s a great way to rope in your little helpers, so they feel that they’re a crucial part of the party (as they should). For something sweet; cupcakes, cakepops, and brownies will go down like a dream, and you can have some fun with the presentation and decoration of them. Whatever you decide to create; bear in mind that people will want to be able to eat it from a paper or melamine plate as they enjoy each other’s company and move around. Therefore, keep it to food that you can happily eat with your hands, or just need a fork (and a napkin) to eat on the go. You don’t need to spend a fortune on drinks; friends and family will be happy to bring their own, as everyone has their own preference. Try and provide a decent supply of ice, and maybe some soft drinks for the kids and to serve as mixers for the grown-up beverages. Lemons and limes are a great addition to any cold drink, so pop a few out on a chopping board with a knife (away from little hands). If you feel like creating a bowl of punch, or some summer cocktails for everyone, there are plenty of drinks recipes online for you to get some inspiration from. When it’s a family affair and all the kids are involved; it’s fun to organise a few games and activities so that they can burn off the sugar from those cupcakes and you’ll wear them out enough to sleep that night. Adult guests will also want to get in on the action; so choose things that suit every generation. 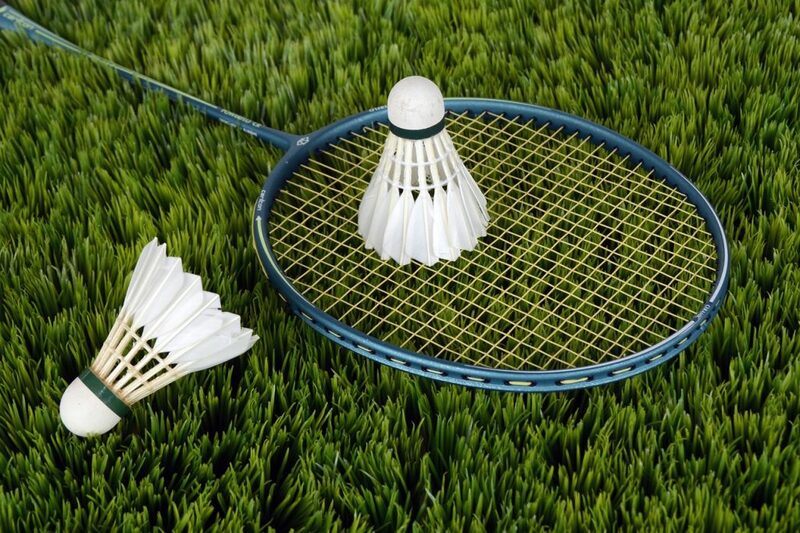 A good old fashioned kick about with a ball or games of catch and badminton are simple and effective ways to keep people entertained and occupied. Get the paddling pool, skipping ropes, and any other garden-friendly items out of the garage and encourage the kids to play together (not that they’ll need much persuading). You could put up a tent or a teepee and throw some cushions in there; kids love playing make believe in a homemade outdoor structure. If you want to tire kids out fast; you could look into bouncy castle hire which will ensure that your summer party is one everyone will remember. Adults and children will be bouncing away for hours, and it’ll be a sure way to induce giggling fits,and you’ll get some fantastic photos of everyone. Set up a mini sports day, and get everyone partaking in relay races; it could be families competing with each other, or perhaps it’s a kids vs. grown-ups event. For more ideas on garden games, take a look here and start planning! You can be as elaborate or as simple as you feel like when it comes to decorating your garden. Colourful blankets, throws, and cushions will look great on the grass and will provide everyone with somewhere to sit and eat their food and mingle. 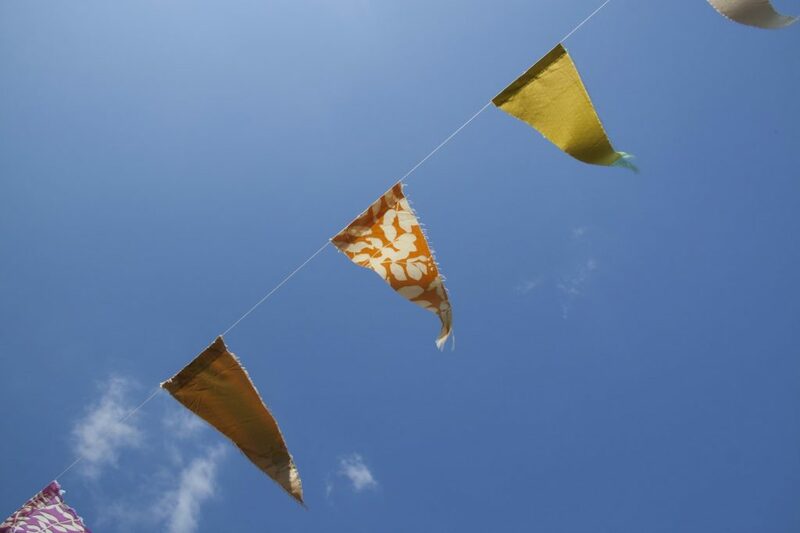 Homemade paper, or fabric, bunting will work wonders strung up in, on fences, and along washing lines; you could spend a day getting crafty with the kids and make some. Paper streamers, lanterns, and confetti look perfect in an outdoor setting; they’re easy to make, or cheap to buy. However, you might have to spend the next day picking the bits up! If your party moves into the later evening hours; consider your lighting options. Outdoor fairy lights and festoon lighting will make the environment twinkle and will look great in any photographs. Tealights and candles are another beautiful way to enhance an evening setting; however, perhaps light them once the kids are tucked up in bed (or their tent). What more could you want from a garden party than food, fun, a gorgeous setting, and, of course, your favourite people; enjoy!